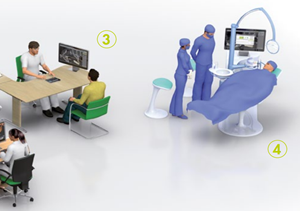 Straumann gonyx is a total solution for guided surgery. 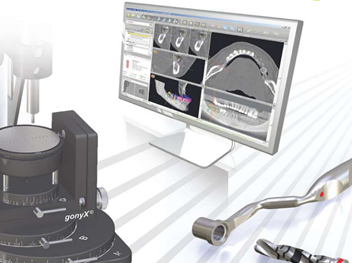 Implant planning prior to the treatment via software allows a precise implant placement via the surgical guide manufactured by the Straumann Gonyx system. We are the only one stop office in the Philippines, manufacturing in house ct-scan based surgical guides. Please get more information about that system from the manufacturer here. A perfect smile is the first thing that is noticed on a person’s face. It leaves the initial impression and it is considered to be an essential part of people appearance. If there is a need to restore the space of a missing tooth it is also very important to have an aesthetic and natural-looking outcome. In the most cases, patients want their treatment to be painless and done in few visits in the dental office. In order to meet their expectations, it seems that a special collaboration within the dental team and treatment network is very crucial. This integrated implant designing and planning workflow provides innovative advantages for prosthetic rehabilitation and implant planning together with a dental group of professionals approach which increases efficiency. Straumann CARES Guided Surgery is well known for its support to create patients with an enhancing smile. - DICOM TRANSFER: The great thing is that coDiagnostiX system offers two types of DICOM Transfer. They are the quick DICOM Transfer and the expert DICOM Transfer. - CLARIFY PANORAMIC CURVE: The process of implant planning always starts with the panoramic curve. It represents the basis for the panoramic view calculation, the position of the implant, and more. - CLARIFY NERVE CANALS: The coDiagnostiX program provides automatic detection of the nerve canal in both jaws maxilla and mandible. This step could also be done manually. - DETECT REFERENCE PINS: This step is for ensuring the connection between coDiagnostiX and the GonyX table. 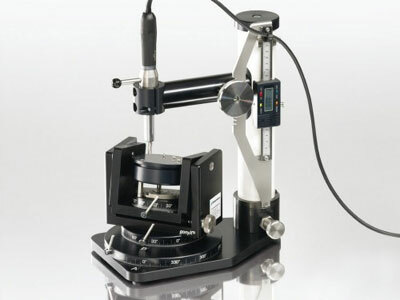 - MEASURING AND DIAGNOSTIC FUNCTIONS: This system gives a comprehensive measurement and diagnostic features such as angle, distance, and density measurement. - IMPLANT PLANNING: The good thing about this software is that it has an integrated database of implants for many manufacturers. There is a possibility to add abutments for implants, drilling sleeves, and virtual teeth. CoDiagnostiX is user-friendly software because it simplifies the process for the user. It has a customizable interface which is associated with an interactive panel that guides the user through every step through the implant planning protocol. When we talk about advanced planning features of this system, we mean segmentation and also augmentation, improved 2D and 3D measurement characteristics which are helping in improving the predictability for planning the implant placement. Another great feature of coDiagnostiX program is the easy set-up of implants. 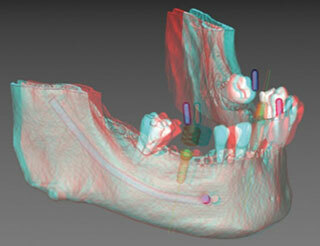 The system offers easy access to the library of implants including the indication-based abutment selection wizard. The mentioned library consists of implants, abutments, and also sleeves systems from the biggest manufacturers. When the implant is placed, the prosthetic step comes. The program offers prosthetic driven implant planning more exactly build a virtual set-up of the teeth using a wide range of model teeth. The last great feature of this software is surgical planning function. This is possible because of the pre-defined workspaces coming with comprehensive 2D and also 3D visualization, automatic detection of the nerve and other critical distance warning characteristics. The system provides an efficient diagnostics and perfect implant planning. Scan template fabrication – The scan template fits the master model which represents the situation of the patient. According to the opinions of the implantologist and the dental technician, the scan template has information about the prosthetic result and the soft tissue in the form of radiopaque materials. 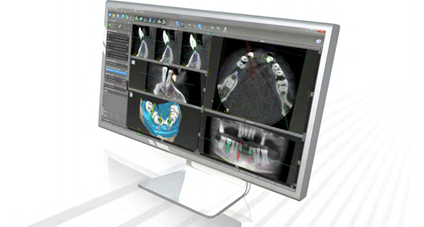 Reference system and CBCT scanning- The scan template is at all times connected to the templiX reference plate holding three titanium reference pins. These pins are detected by the system and make certain the connection between the software planning and the gonyX for the process of surgical template fabrication. The great thing is that there is no additional separate scan of the scan template. Surgical template fabrication- The template plan which is provided by the coDiagnostiX program represents the basis for the surgical template fabrication. This type of plan displays four parameters for the spatial position of the implant individually and at the same time, it provides the depth information for the placement of the surgical sleeve. This software also provides a printout so it can verify the settings of parameters before drilling. It also controls the surgical template after the production. In some cases when it is desired, the scan template could be reworked into the surgical template. Through the investment of the German company IVS Solutions AG, Straumann has perfectly finished its guided surgery protocol with the coDiagnostiX software and the GonyX tool for template fabrication. One big advantage of Straumann guided surgery is the precise scan and the surgical template fabrication by a local dental laboratory. An excellent fit of the model-based templates or delivery in a short time makes local template fabrication a better option. -	By using this system, an implantologist would perform minimally invasive surgery with the 3D data and guided surgical tools and instruments. -	Compatible surgical device kit: offers compatibility with coDiagnostiX and other 3D planning programs. This software is a big step in revolutionary dentistry which allows patients to obtain positive outcome when it comes to their impressing smiles.